Last year, MaRS partnered with Microsoft to support entrepreneurs by offering valuable tools, resources and expertise that startups need to build great companies. Microsoft’s BizSpark Lounge is located in the MaRS Commons and provides technical mentorship and assistance as well as access to devices for development and testing. Any entrepreneur from the Greater Toronto Area can come in to see us for free advice and assistance to improve his or her startup! Why did Microsoft choose to work with MaRS? It did so because MaRS’ values, programs, services and support attract and nurture a diverse and talented group of entrepreneurs across many fields, technologies and markets. It’s by connecting with and supporting these talented startups that Microsoft, along with MaRS, is supporting the broader Canadian startup ecosystem. So how can we help? Simply put, we show up. 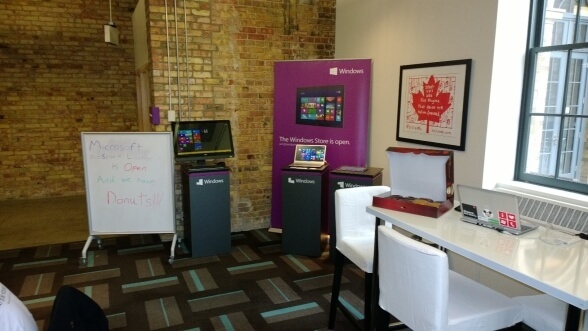 Every Tuesday you can find me, as well as others from Microsoft, working out of the BizSpark Lounge. We’re there to connect with you, to discuss your needs and to help you navigate programs such as BizSpark, Windows Azure and the Windows Azure $60K Offer. Not sure if we support your technology stack? 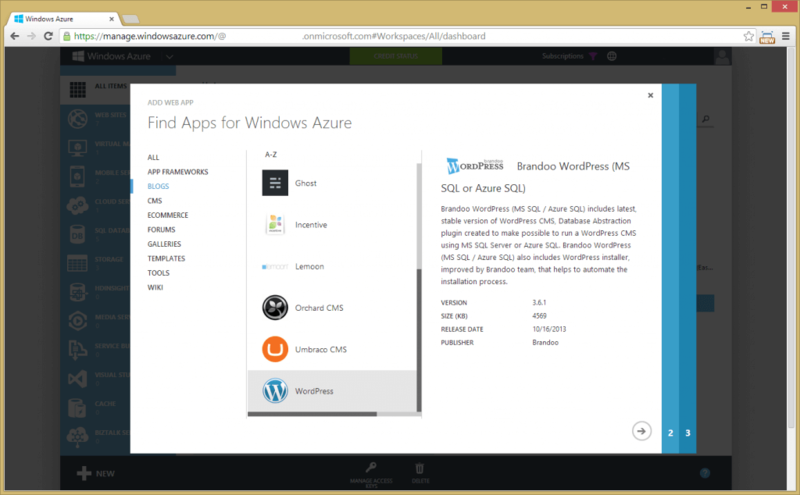 Not sure what Windows Azure is exactly? Need technical help or suggestions on where to start? Just ask! BizSpark is a free program that supports the growth of tech startups by offering free software (over $13,000 worth per developer!) and $150 per month for three years in cloud hosting on Windows Azure. Better yet, you get to keep what you’ve used (i.e., perpetual licensing). Now, before you say “I don’t use Windows or .NET,” let me tell you that BizSpark’s tools and hosting offer many benefits for non-Microsoft folks. Node.js in Visual Studio is awesome. You can test your web app on Windows and Internet Explorer with free licences for Windows. Visual Studio + Xamarin means you can develop in one language and create native apps using reusable code and native controls easily for iOS, Android, Windows 8, Windows Phone and the list goes on. The biggest misconception about Windows Azure is in the name itself. Of course, we have epic support for all of our technologies, such as .NET and Windows, but Windows Azure supports so much more than that. We have Node.js, PHP, Python, Ruby and a whole lot more. Need a WordPress, Drupal, Django, Node.js or PHP website? We’ve got you covered right from the website’s gallery—you can be up and running in 30 seconds. How about a Linux VM for your LAMP stack? Again, not a problem. You can choose from popular distros right from the VM gallery and be up and running in about six minutes. Working on a mobile app? How about a mobile-backend-as-a-service solution called Windows Azure Mobile Service, which gives push notifications, table storage, blob storage, SQL database, authentication, authorization and more for iOS, Android, Windows and web. The best part is that all BizSpark startups get $150 in credits every month for three years. That’s good enough for three small Linux VMs, hundreds of websites on a medium server or 2,200 GB of storage (actually, more like 6,600 GB, since all storage is stored in triplicate for free to protect your data). Check out the pricing calculator for more information. Going big? I mean, really big? We can help with that! Connect with MaRS and Microsoft to learn how you can be nominated for a one-time enrolment into the Windows Azure $60K Offer program. This program gives you $5,000 per month for one year in credits to cover the cost of scale. As a Microsoft Ventures partner, MaRS can nominate your startup (as can anyone from Microsoft) for the Windows Azure 60K Offer program. So why not come by our lounge and say hi, or shoot us an email to let us know how we can help.